Associate editor for The Australian, Chris Kenny, has become the first foreign news reporter in 18 months to be granted a visa by the Nauruan government to visit the island. Since January 2014, any foreign journalist who has wished to visit Nauru must lodge an application and pay a fee of $8,000, which is non-refundable even in the event of the government rejecting the application. Kenny told Guardian Australia that, due to his concerns about the conditions on Nauru and the welfare of refugees, he had spent six months trying to visit the island and expected ‘full access to people and facilities’ during his stay. Since arriving, Kenny has already filed a story on his interview with the Somali refugee known as Abyan. Abyan was flown to Australia this month after public outcry over her claims that she had been raped by two Nauruan men and now wanted an abortion, which is illegal on Nauru. Last week, she was deported back to Nauru – without undergoing a termination – on a flight chartered by the government. In a statement, Abyan claimed that she had received no counselling, instead only seeing a nurse at the clinic without an interpreter present. She wrote that she had never stated that she didn’t wish to go through with the termination, only that she wanted counselling beforehand. Immigration Minister Peter Dutton has refuted the claims, telling reporters this week that she had received medical treatment and counselling but had refused an abortion. According to Kenny’s story, Abyan still wants to have an abortion, but not in Australia. It is being reported that Kenny was escorted to her home by police for the interview, creating concerns that she was forced into speaking to The Australian. But the Nauruan government claim that their arrival to request a statement from Abyan happened to coincide with Kenny’s independent visit. Outrage has been expressed that Kenny, a certainly conservative reporter and PM Malcolm Turnbull’s former chief of staff when he was in opposition, has been chosen as the first journalist in 18 months to be granted access to the island. Writer Anne Summers asked why Kenny was ‘allowed to harass an already traumatised refugee’, and journalist Mike Carlton called Kenny’s ‘harassment’ of Abyan ‘both predictable and despicable’. In an editorial blog, The Australian bit back, calling the ‘vitriolic response’ a reminder that the journalistic profession has lost its way. A spokesperson for News Corp Australia also refused to comment on whether The Australian had paid the $8,000 required visa fee for Kenny’s application. Greens Senator Sarah Hanson-Young, who has been vocal about the inhumane conditions of Nauru and other detention centres, made an official visit to the island in December 2013(). 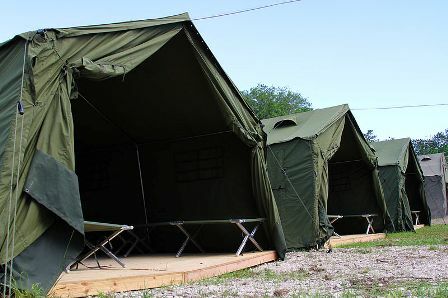 Claims were later made by a whistleblower that the Senator was spied on throughout the visit by eight private security guards employed by Wilson Security on Nauru. It is alleged that they followed her and kept note of who she spoke to, even in her own hotel room. Meanwhile, Guardian Australia has also obtained an early October email from the Nauruan operations manager, Berilyn Jeremiah, advising detention centre staff that the government was allowing a number of Nauruan journalists to visit the centre. Of course, the local journalists would not have to pay the $8,000 visa application fee that is required of their foreign counterparts. This entry was posted in News, Politics, World and tagged abyan, nauru, News, politics. Bookmark the permalink.